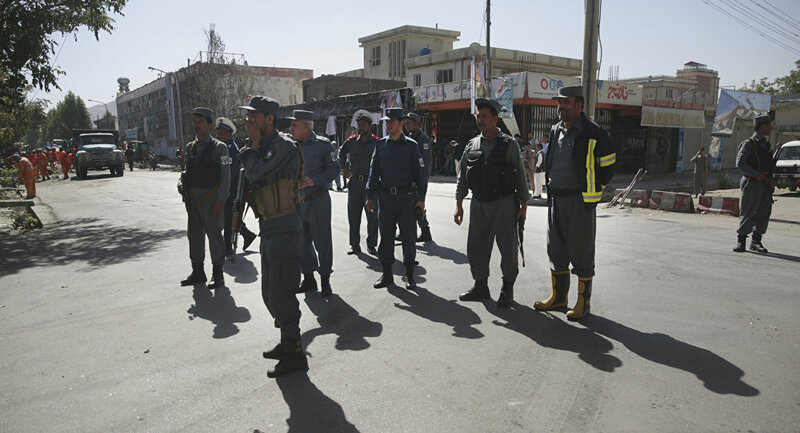 Tolo news reported, citing witnesses, that a blast was heard in the Afghan capital's diplomatic district on Tuesday. The media calls the accident a suicide attack. According to reports, the blast took place in the Wazir Akbar Khan area 9the Green Zone) near the US embassy, smashing windows and doors in the neighborhood. Local media reported that at least 13 people were killed and 14 wounded as a result of the blast. The Daesh terror group has claimed responsibility for the attack, Voice of America radio station reports. — Nasrat Samimi (@NasratSamimi) 31 октября 2017 г.